Leeds United are set to start limiting away ticket sales to 2,000 per fixture in response to the Football League’s rescheduling of games for television coverage. The Whites have had 10 games moved already for broadcast on Sky Sports, which is a joint league high. They have had a total of 13 rearrangements for various reasons. Massimo Cellino has called on the Football League to rethink the way that they select games for broadcast, as he believes Leeds fans are being “exploited”. Furthermore, the Italian owner has said that the cost of games being on television is damaging the club’s finances. He has also suggested that fans need to reconsider their continued away support, calling for “silence” away from home to send a message to the governing body. Cellino said: “Our loyal Season Ticket Holders are being unfairly penalised by the large amount of fixture changes. “They have already paid to attend these games but many are no longer able to and attendances are suffering as a result of this. “This affects our revenue to a level where the club is losing money with each televised home game, as Sky’s compensation payments are not enough to cover the losses in ticketing, retail and catering. “We cannot just accept for our schedule to be changed with games moved to Thursdays and Sundays. We are a football club and tradition gives us a sense of belonging to our community. 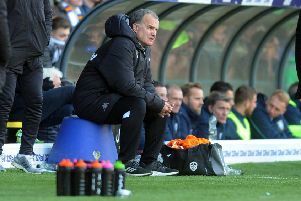 “Our players need the passion and support of their fans at Elland Road – we should have the right to play there in front of our fans at the traditional time. “We understand the value that Leeds United brings to the Football League, but we should be shown respect for that - we shouldn’t be exploited because of it. “We do not want to challenge the Football League or Sky, we simply want them to listen to us. “We have used the correct channels in appealing to the Football League but the issues remain, so we have no choice but to take strong action to protect the future of Leeds United. “In doing this we must be civil, show respect and remain within the rules. We must not be violent in our way of protesting. “Football League rules state that clubs must make a provision for at least 2,000 away tickets to be sold. Therefore, in line with those requirements, we will be selling no more than 2,000 tickets for each away game from now on. “We understand that this means a number of fans will now be unable to attend certain away games, but this is the sacrifice needed to make the Football League take notice. “We are encouraging you, as supporters, to think before purchasing ticket for away matches – our silence, especially away from home, will demonstrate our disappointment. “At away games our supporters are being taken advantage of because they travel in such large numbers. “This unfairly benefits the home clubs, who increase the price of tickets, food and drinks for our fans. “But again, the Football League are doing nothing to help us when they should be looking after their members – that is their responsibility to us. “As a club we can no longer continue to be exploited like this and we are calling for change.